I'll shortly be writing a blog post about the idea of "PayJoin", which is a variant of what's sometimes been called "Pay-To-Endpoint" coinjoin, or "p2ep". If you don't know what "p2ep" is, you're probably better off waiting for the next blogpost. For now I just wanted to show an example of how it runs in Joinmarket (PR here ; not yet merged but won't be long). 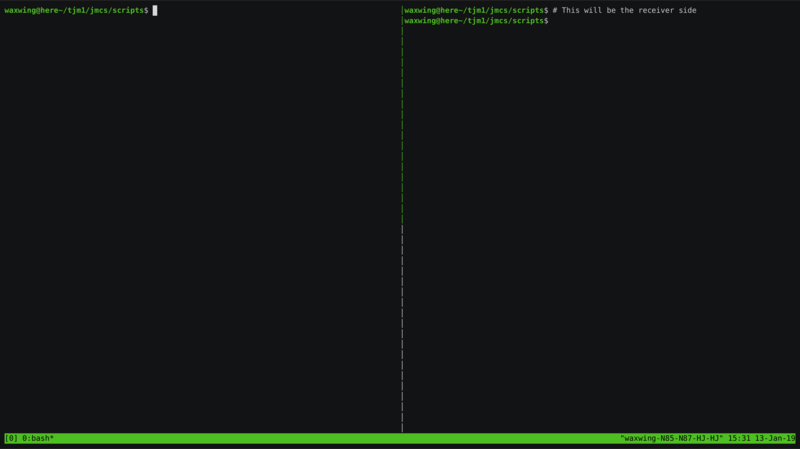 This is a terminal recording with asciinema (which is much more lightweight than a video). Here, I ran both sender and receiver; each terminal's playback is shown side-by-side at the below link. The resulting transaction can be seen here. "What is the payment amount?" Samourai are working on something very similar; this discussion may be interesting too! Gist discussing some technical issues (see the comments in particular - about UIH1 and UIH2). Questions? You can reach me on IRC freenode #joinmarket or on mastodon. If anyone wants to give it a try in the next week or two, feel free to contact me there.